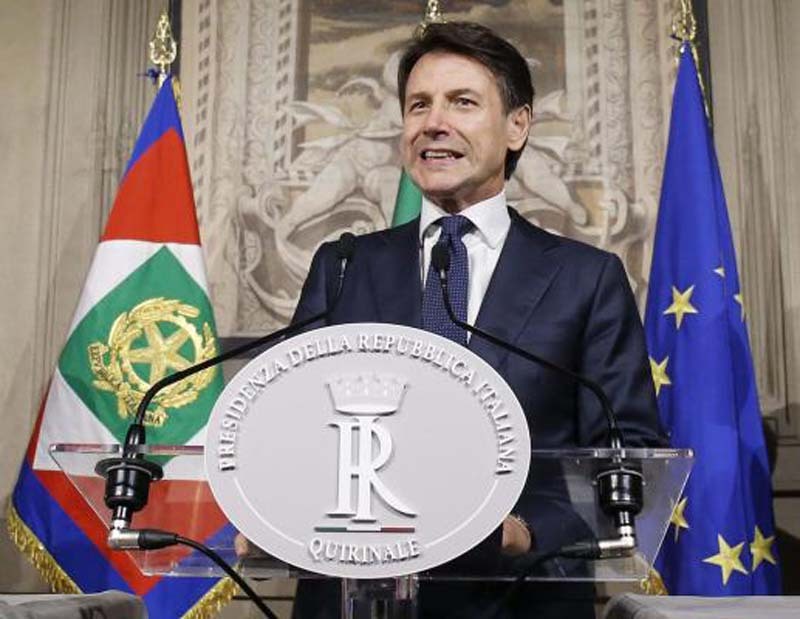 Italian Prime Minister-designate Giuseppe Conte and President Sergio Mattarella agreed on a coalition government for the country Thursday. Conte, 53, will be officially sworn in as prime minister on Friday after Mattarella approved his Cabinet team made up of members of the Five Star, or M5S, and League political parties. M5S leader Luigi Di Maio and League leader Matteo Salvini will join the government as deputy prime ministers. Di Maio also will serve as industry and labor minister, while Salvini will serve as minister of the interior. "All the conditions have been met for a M5S-League government," the two said in a joint statement. Conte selected economics professor Giovanni Tria for the role of finance minister after he resigned on Monday when Mattarella refused to approve Conte's original nomination of Paolo Savona. Tria has been critical of the European Union, but unlike Savona hasn't advocated abandoning the euro. Savona, 81, was ultimately given a role in the government as minister of European affairs. Settling the dispute over Savona's appointment helped Italy avoid new elections after Mattarella appointed former International Monetary Fund official Carlo Cottarelli as prime minister and ordered him to form an interim government. Italy had been without a government since it held elections in March, the longest stretch without a government in the country's postwar history. "We will work hard to reach the objectives included in the government contract and to improve the quality of life of all Italians," Conte said.